Greeley is one of the fastest-growing cities in all of Colorado, and more and more people are choosing to call this city their home in Northern Colorado. Father & Son Painting can understand why, which is exactly why we are proud to be a local painting company that has served Greeley, Evans, and Lucerne for more than 30 years. Father & Son Painting is committed to proving only the highest quality paint service in all of Northern Colorado. That’s why we treat each and every customer with the personal care and respect that you deserve. 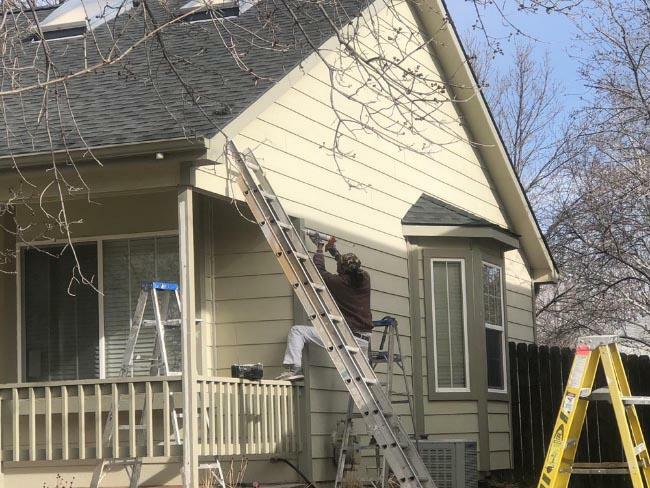 Our painting crew is experienced and professional, and will treat your Greeley home like it is our own. We serve all of Northern Colorado including everything from Johnstown to Wellington and more. When you request a painting service, you expect only the best. We get this, which is why we use only Diamond Vogel paint for every job. This paint is premium quality, and will be durable against the harsh Colorado elements for exterior paint, and stain-resistant and easy to clean for interior paint. Call us at (970) 225-0968 if you are looking for a local paint company in Greeley, CO! Please contact us if you have any questions about our services, hours, or rates. © 2018 Father and Son Painting Inc.